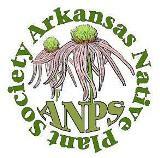 Arkansas Native Plant Society members, along with Central Arkansas Master Naturalists, are invited to take a walk in the White Oak Bayou Wetlands (WOB), Pulaski County. Date for the walk is Saturday, October 15 at 9 am to 10:30 am. For more information about the walk and to sign up, please click on our Upcoming Events Page – Field Trips and Workshops.